Christian did a great job as my instructor. Immediately I felt like I knew im for years...very peronable! After watching me hit a few balls he saw certain swing flaws. Within minutes he had me improving my contact and direction. I strongly suggest you try him. "I am having so much fun on the golf course. I told you about shooting 5-under on 9 holes on Fathers Day. Yesterday I made six birdies and shot 67 ... It is so exciting for me to be able to study your analysis and have someone I trust to get great information from. Even when I don't play well I know I have the tools to get back on track thanks to you. I would give anything to go back in time and have this resource when I was younger and had even more time to play and practice. I had forgotten how passionate I was about golf." " The last lesson we had together has created a breakthrough in my game. Seeing my club upright and onplane on the backswing has given me the confidence to trust the swing and concentrate on the hitting area. For years I have been worrying about the backswing and getting by with the release. Now I can finally focus on it. 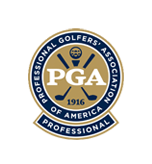 The result is at least 1 club difference in length with greater accuracy. I have quieted my lower body per your suggestion and am achieving good results on my approach shots to the green. That is the area we will work on next time I get down to Florida. While all of my friends are aging and hitting shorter , at 65 (66 May 6th) I am 30 yards longer than I have ever been off the tee. It's not supposed to work that way so I just wanted to write and say thanks. You are a great teacher." 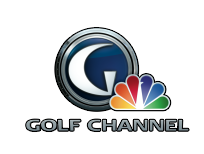 "Chris is a teacher who truly has an understanding of the essence of the golf swing. His approach is different from any I have ever experienced after many different teachers and lessons over the past 40 years of golf. No gimmicks, no gadgets, no nonsense - just you and the club and the ball. And it truly works. The improvement I experienced after just three lessons was remarkable. Thanks, Chris!" "I'm the father of one of Chris Czaja's pupils and have watched first hand Chris' teaching techniques. 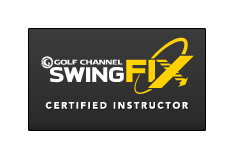 He simplifies the golf swing and makes it easy to learn proper swing fundamentals. He does the same with the short game. Over the summer my son Matthew improved drastically, going from an 8 handicap to a 3. I have no doubt Chris will get him to be a scratch golfer soon."